omg I love that game!! It's so fun! I used to play it in the South of France all the time! That dinner you two had looks divine and that grilled cheese sandwich looks crazy! I'm thinking of maybe trying to make something like that at home. Were the apples soft and cooked or crunchy? Such a fun post! Love your outfit, and I wish I was in PA to try that sandwich! 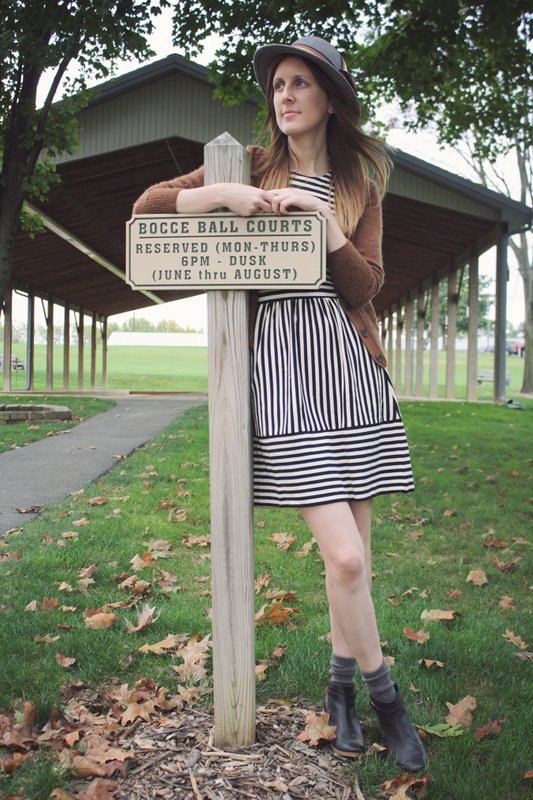 What a fun date -- bocce ball looks cool, I'll have to try it sometime. I love your dress! You always know how to make neutral -colors look interesting and awesome. Oh how delicious the food looks and man, I haven't played bocce ball since the late 80s . . .